iRealHousewives | The 411 On American + International Real Housewives: The Real Housewives Of Cheshire Begins Filming Season 7! The Real Housewives of Cheshire began filming its seventh season. 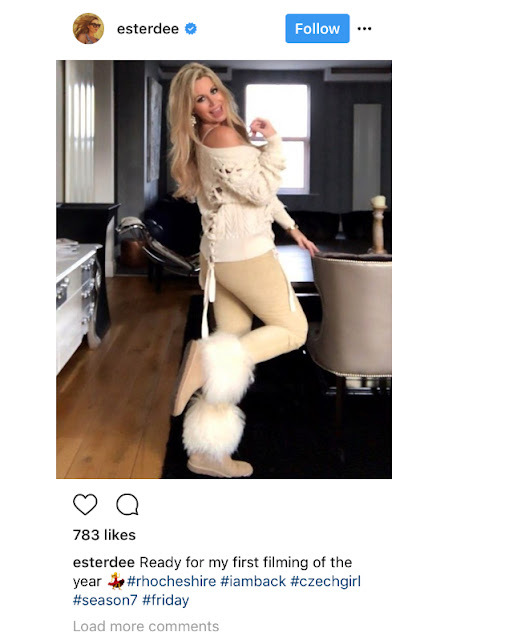 Ester Dee took to Instagram to confirm her return to the show and revealed that she was in fact filming scenes for the new upcoming seventh season for the ITVBe hit reality series.